This painting is based on a photo and it’s a sentimental moment for me: We were in the green room of Kevin Smith’s Hulu show Spoilers, talking about writing. He was telling me about his take on the character from its beginnings. And I told him about how writing Daredevil was my first work for Marvel and my thoughts on the character. I saw him in Japan last December and he jaunted off to the Great Wall of China, just full of energy. 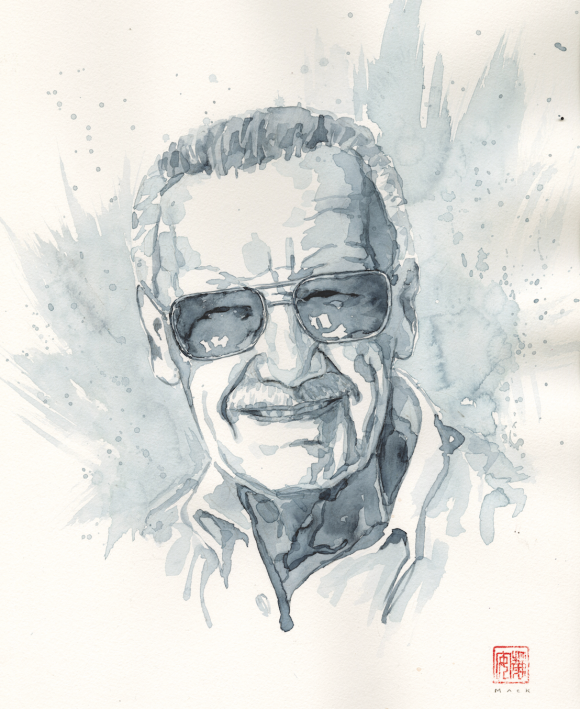 Lots of energy — and dreams he gave us in the language of comics. 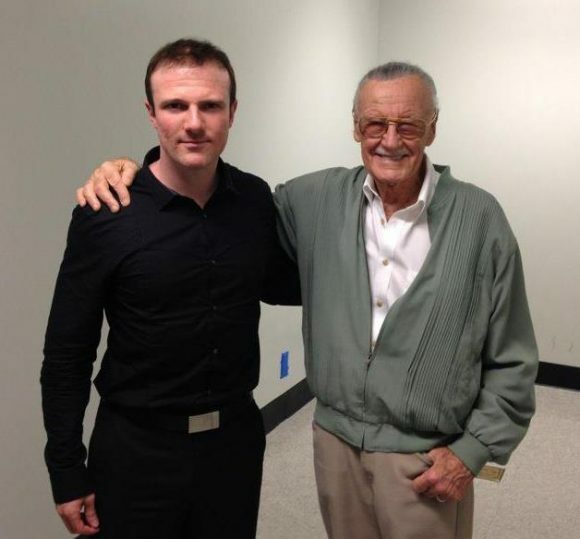 — The Complete STAN LEE Index of Coverage. Click here. — A VISIONARY: Comics Pros on STAN LEE and His Legacy. Click here.